Agetha Rivas Ramirez, age 72, of South Pratt Street Midland, Texas passed away Wednesday, January 30, 2019. Agetha was born on September 16, 1946 in Carlsbad, NM to Dionicio Rivas and Cruz Alvarado. Visitation will be 2:00 PM – 7:00 PM, Tuesday, February 5, 2019 at Denton-Wood Funeral Home Chapel. A vigil is scheduled for 7:00 PM, Tuesday, February 5, 2019 at Denton-Wood Funeral Home Chapel. Mass of Christian Burial is scheduled for 2:00 PM, Wednesday, February 6, 2019 at Denton-Wood Funeral Home Chapel with Reverend Francis officiating. Interment will follow at Carlsbad Cemetery New Section, Carlsbad, NM. 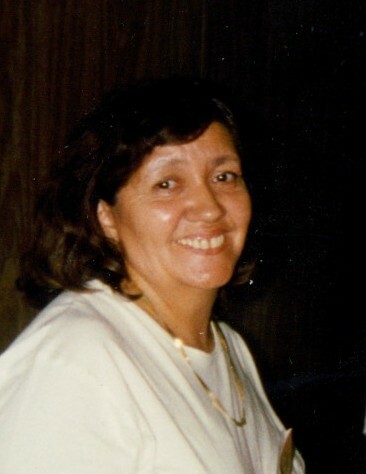 Agetha is survived by her husband, Willie Ramirez, II of Midland, TX; son, Willie Ramirez, III of Midland, TX; son, David Ramirez and wife, Mayra of Midland, TX; son, John Ramirez and wife, Idaly of Odessa, TX; daughter, Christina Ramirez and husband, Alan of Midland, TX; daughter, Casey Ramirez and husband, Oscar of Odessa, TX; and seven grandchildren.